A runabout accident pulls Kira and Bashir into the parallel universe that Kirk and Co. visited way back in “Mirror, Mirror”. Turns out Kirk’s actions — hilariously — totally backfired. Mirror/bearded Spock tried the whole peace thing Kirk suggested, but the Cardassians and the Klingons formed an alliance and now run things, with “Terrans” as slaves. DS9 is run by a mirror version of Kira — Bajor is a part of the alliance — with Garak as first officer, Odo as overseer in the ore-processing center, O’Brien as a well-trusted slave and Sisko as a sort of pirate who works (ahem) for Kira. Kira and Bashir eventually escape with the help of Sisko and O’Brien — who appear poised to disrupt the universe’s status quo. 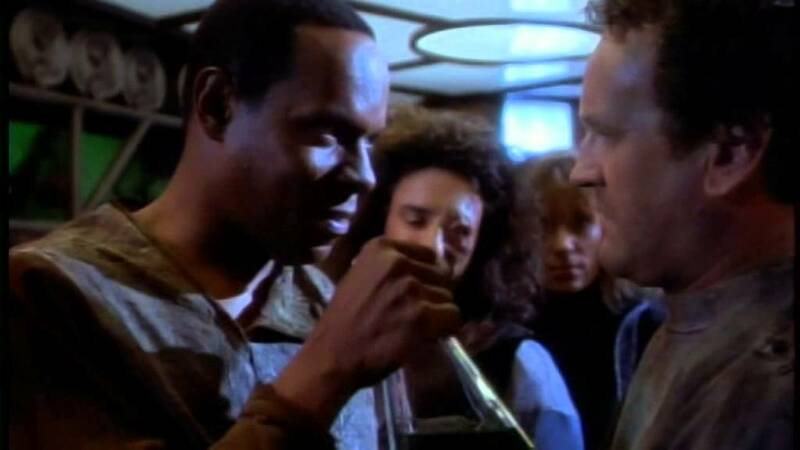 For the next five years, Avery Brooks would only call Colm Meaney, “Smiley”. The alliance, as we see in later episodes, is just sort of incompetent. It’s ridiculous that the runabout Kira and Bashir used to travel to the other universe wouldn’t have been dissected for technical secrets — or, at least, placed somewhere out of reach to prevent Kira and Bashir from escaping. Beyond that, Kira and Bashir clearly mention the wormhole — and mirror Kira and Garak don’t do anything to find out what the hell they’re talking about. Finding the wormhole would have been a HUGE deal for the alliance. It is interesting to think, though how the prophets built the wormhole in the evil universe. Maybe the celestial temple has been replaced by an evil place where the pah-wraiths hang out? I really love this episode because it’s so off the hinge in a way that mostly makes sense. The craziness of the evil universe here was never as well done in subsequent episodes, as we see just the right combo of seriousness and comic-book characterization. “Crossover” almost has a film noir feel to it, and all of the characters are just so well-conceived in a bizarro-world kind of way. 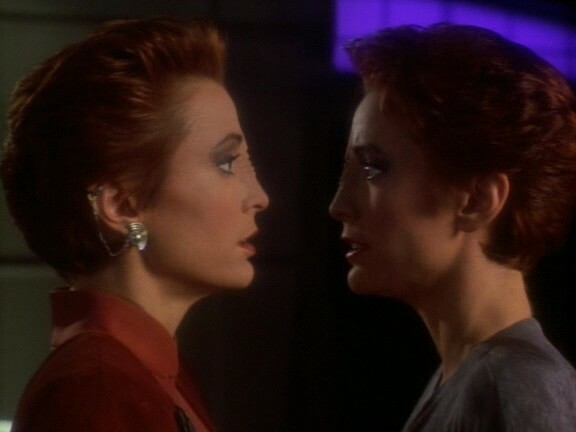 There are great moments — from Sisko saying he never had feelings to hurt to Kira’s casual brutality to Odo’s ruthlessness to O’Brien’s defeatism. The characters are similar to the versions we know and love — but they’re appropriately tweaked for the lives they would have led. Only Garak — who comes across as an inept brute — is kind of boring. 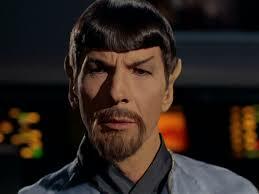 Lastly, I always thought this was an example of the second-generation Trek creators poking fun at TOS. Throughout that series, Kirk’s sense of moral righteousness prompted him to do what he thought was right without really analyzing the consequences. “Mirror, Mirror” — in which decides to mess with a universe he’s been in for like six hours — was the most drastic example. And it led to nearly all of humanity being enslaved! Way to go, Jimbo. Sisko, Jake, Quark and Nog go camping. And it’s a swell time and nothing goes wrong.